Gia set a challenge for her birthday and she made a fantastic video. I was very impressed. I started crafting with my Grandmother when I was 4 yrs. old, but Gia's already looking very professional. Hope you had a great birthday Gia! 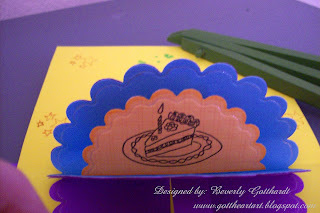 Her challenge Res-Q-Challenge #10 was to create a card with a cake to slice, these stamps seem to fit. 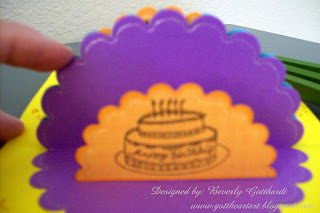 I've really been into purple, orange, and yellow lately, happy colors for Happy Birthdays. 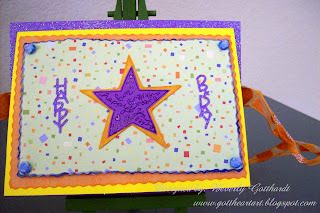 Supplies: 5 1/4" X 4 1/4" yellow card blanck, with a 5 1/2" X 4 1/2" purple glitter paper base to attach to , to hold the ribbon in place. 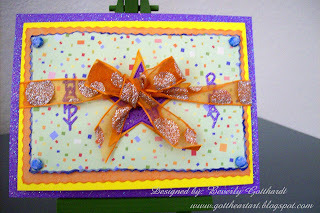 Wired ribbon from Michael's, other card stock from paper stash, glue dots and pop dots, glitter brads, Stamps: Scrappy Cat Clear Stamps-SCR497 Birthday, CTMH-C1217 Smitten, Inks: Ranger Archival Ink-Jet Black, CTMH-Z2107Breeze, Z2164 Sorbet, Cuttlebug Cut and Emboss-Birthday Wishes, Gelly Roll Clear Star pen,Spellbinders Nestabilities-S4 124 Classic Scallop Circle,Lg. 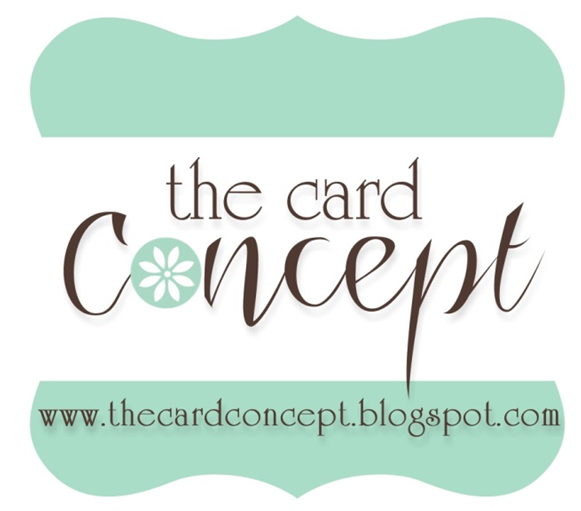 Darling design Beverly, LOVE the fun images on your accordion and the sweet layout on the front. Love this card!! 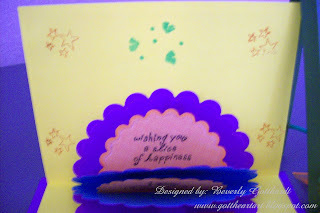 I love the fact that you used scalloped circles on the inside! Thanks for playing along with Project Tuesday! Cute card! I really like the colors, very bright and cheery. what a fun accordian fold! Your card is darling. Thanks for playing along on the Res-Q challenge. What a great card, Beverly. You did Gia's challenge up first class. I love the colors you chose, too. Thanks for coming over to the RESQ!